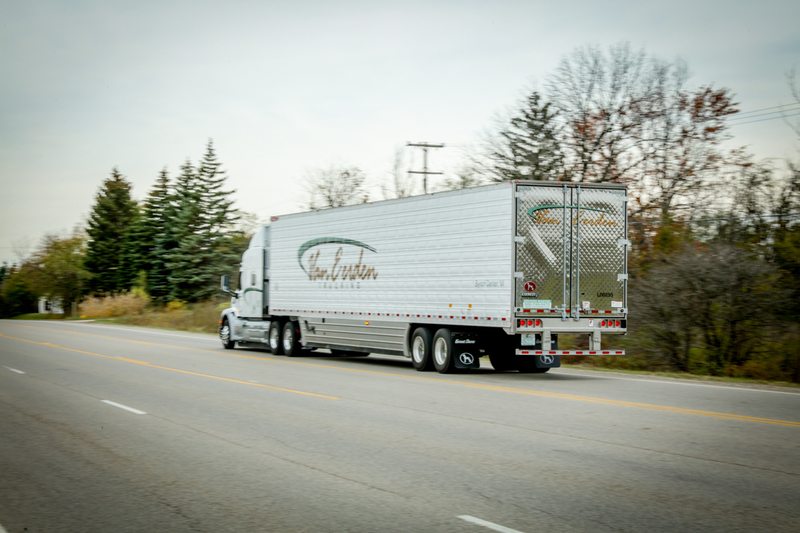 Welcome to Van Eerden Trucking, we hope that the information we have provided is informative and helps you make the right decision to come and DRIVE WITH US! 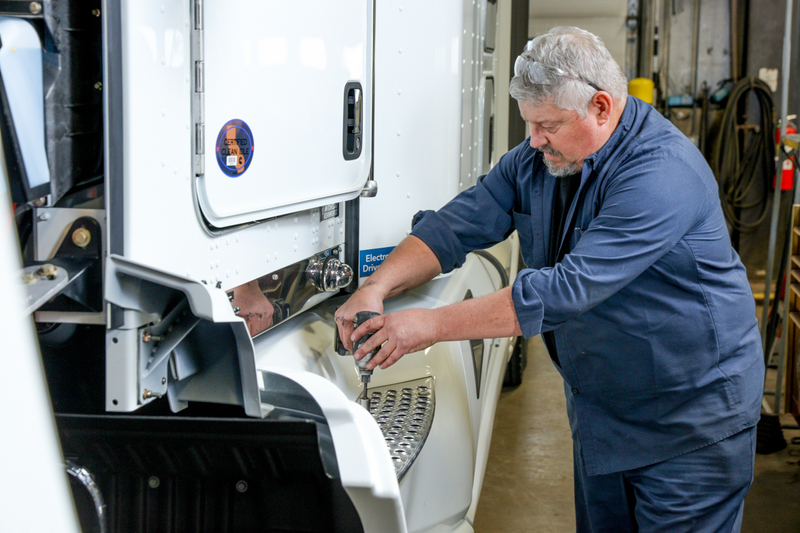 We pride ourselves in the quality of equipment we provide to our drivers and the level of service our fleet mechanics dedicate to keeping our drivers’ equipment safe with minimal breakdowns resulting in both better miles and more home time. We provide our drivers with the latest models of equipment. Our tractors are on average 1.8 years old and our trailers are on average 3.2 years old. Tractors are either Kenworth or Peterbuilt and are equipped with all the driver amenities; 80-86 inch Studio Sleepers, Refrigerators, NiteSystem to provide heating and cooling with minimal idle, Nav System with Sirius Radio (driver must provide own Sirius subscription), Omnitracs for satellite on board communication, Omnitracs E-Logs which minimizes driver paperwork and saves time. 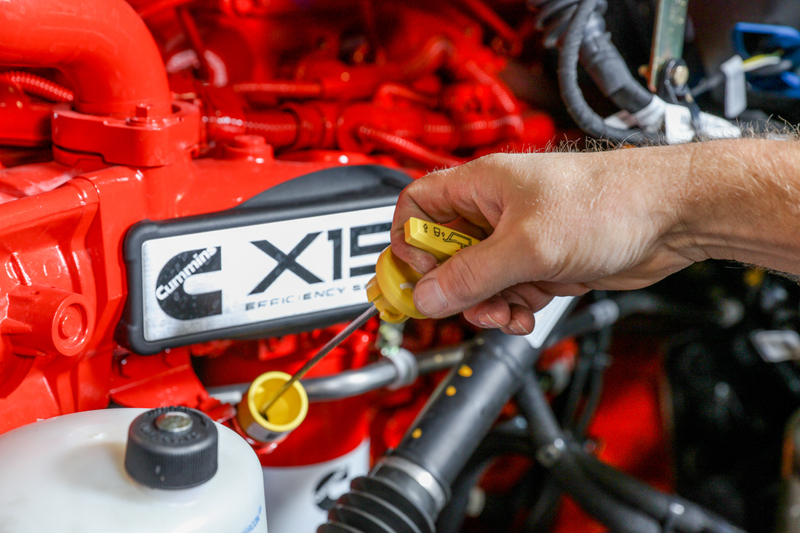 We are partnered with and recognized as a National Account with all major manufacturers to help ensure minimal break down time. Our drivers make round trips; our main outbound and inbound customers are located in the Grand Rapids, MI area. This ensures our drivers with consistent miles and home time. 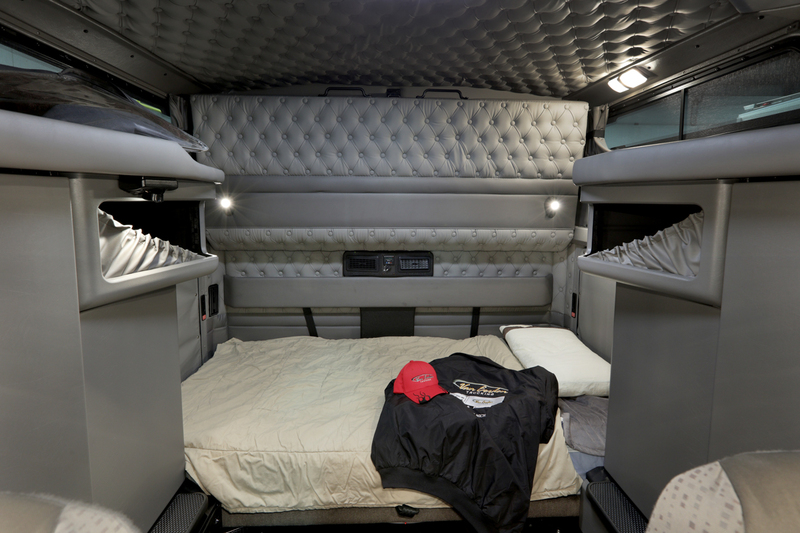 We offer our drivers top pay including additional bonuses, paid vacation, full benefit packages, and a 401K. 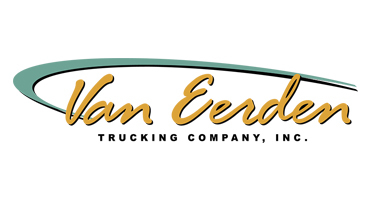 Van Eerden Trucking looks for drivers that have a minimum of two years over the road driving experience, a good driving record, and the ability to pass a DOT physical and drug screen. We will review drivers that have at least one year over the road west coast experience. Drivers that have produce experience are preferred. Ask about our Driver Training Program! Excellent pay for team and solo drivers – Based upon experience and driving record. 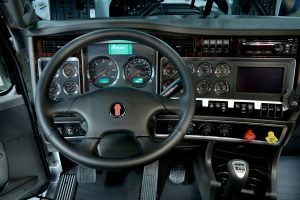 Drivers average $76,000 annual total compensation per driver. Top 10 average over $94,000 per driver. A career with Van Eerden offers more! Our generous incentive pay and benefits packages allows our drivers the opportunity to earn more! Additional CPM paid weekly to all produce miles, $.08/per mile (team split). Additional .02 per mile paid for East Coast Drivers. Additional .01 per mile (team split). Three Tier Level - payout based upon miles ran for year, between $2,200 to $10,000+ per driver. Three Tier Level - payout based upon number of quarters on-time, $300 to $1,000. 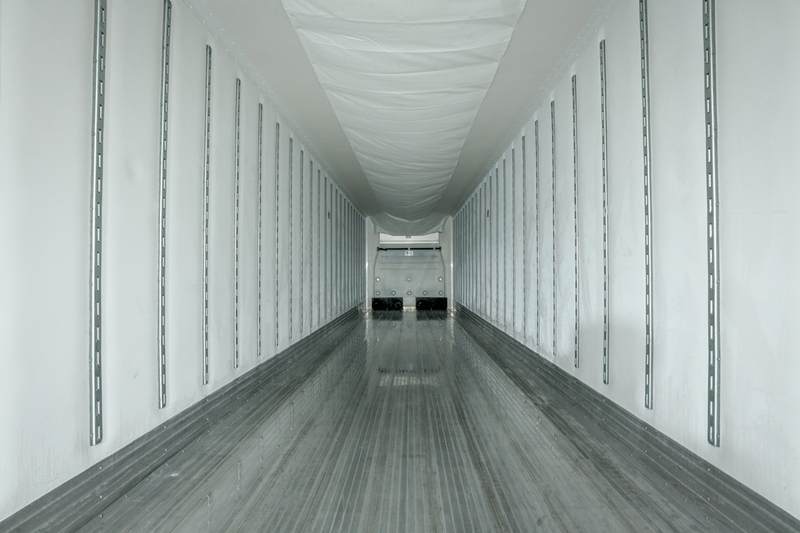 What are the minimum requirements to drive for Van Eerden? 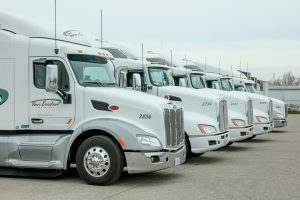 Van Eerden Trucking looks for drivers that have a minimum of two years over the road driving experience, a good driving record, and the ability to pass a DOT physical and drug screen. We will review drivers that have at least one year over the road west coast experience. At this time we are not taking drivers out of CDL school. *Drivers that have produce experience are preferred. What kind of pay can I expect at Van Eerden? 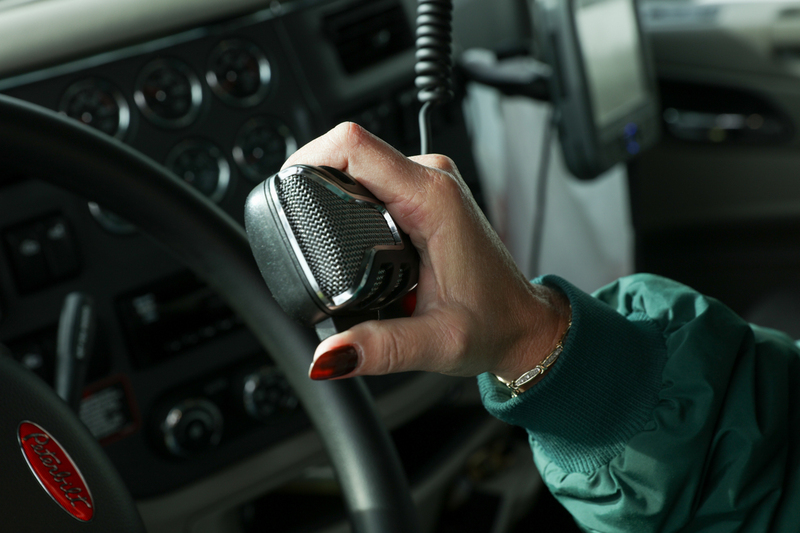 Van Eerden Trucking offers some of the top pay in the industry. 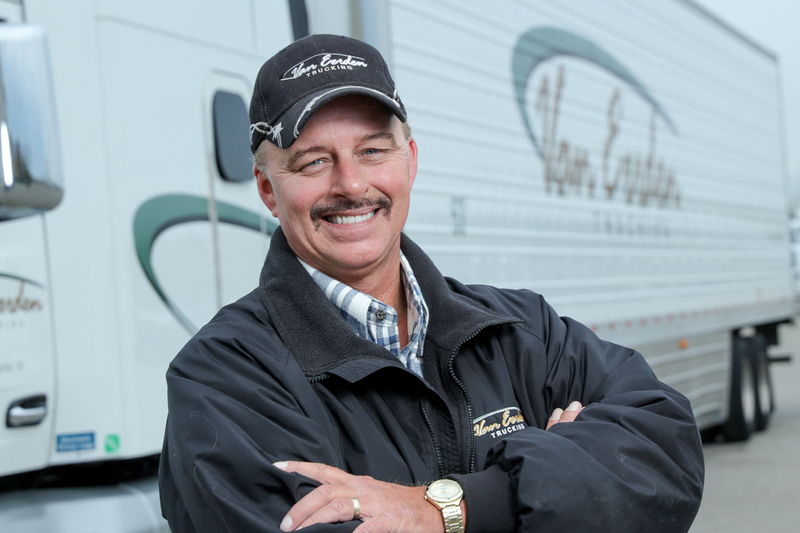 Our average drivers earn $76,000 annually while our top performers earn $100,000+! What kind of equipment does Van Eerden use? 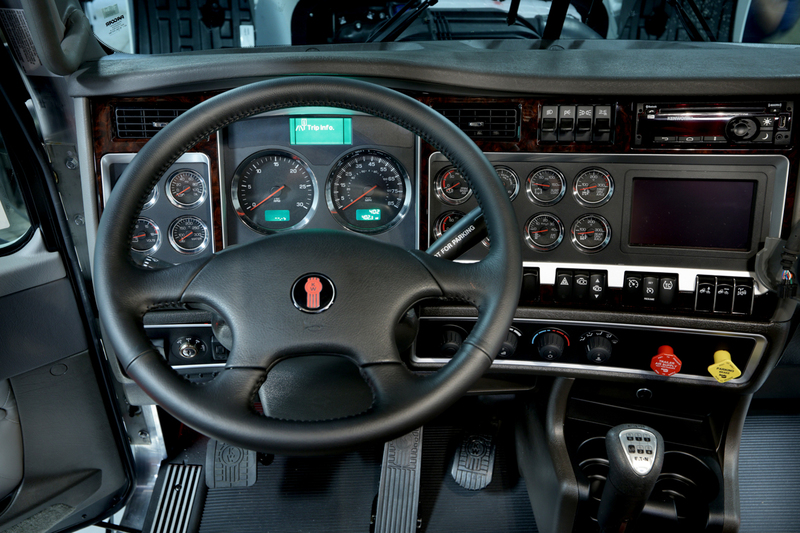 We provide our drivers with the latest model of Kenworth Tractors (under 3 years) equipped with all the driver amenities; 86 inch Studio Sleepers, Refrigerators, NiteSystem to provide heating and cooling with minimal idle, Nav System with Sirius Radio (driver must provide own Sirius subscription), Omnitracs for satellite on board communication, Omnitracs E-Logs which minimizes driver paperwork and saves time. We are partnered with and recognized as a National Account with all major manufacturers to help ensure minimal break down time. Does Van Eerden allow passengers? Yes we do. Please contact us to fill out the rider application prior to inviting your guests. Does Van Eerden allow pets? Yes, we do! We understand pets are part of the family, that’s why we charge ZERO pet deposit. Bring your little buddies along and drive with us! Our drivers earn on average $76,000 per year! 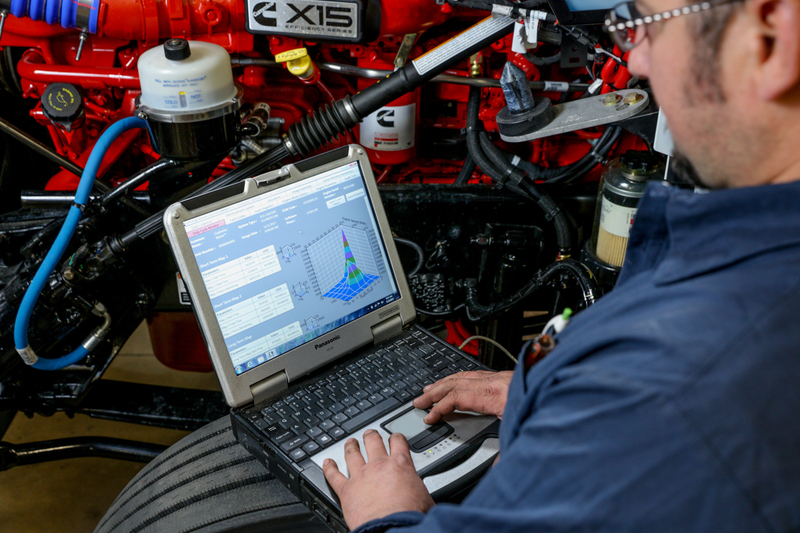 Our tractors are on average only 1.8 years old! We have been using e-logs (100%) since 2009! We charge ZERO pet deposit! Michigan, Washington, Florida, Areas of Mid to Southern California, Areas of North West Indiana, Most Areas of Illinois. Join the Van Eerden Family Today! Apply now and take advantage of our limited time sign on bonus! Apply to Drive With Us!